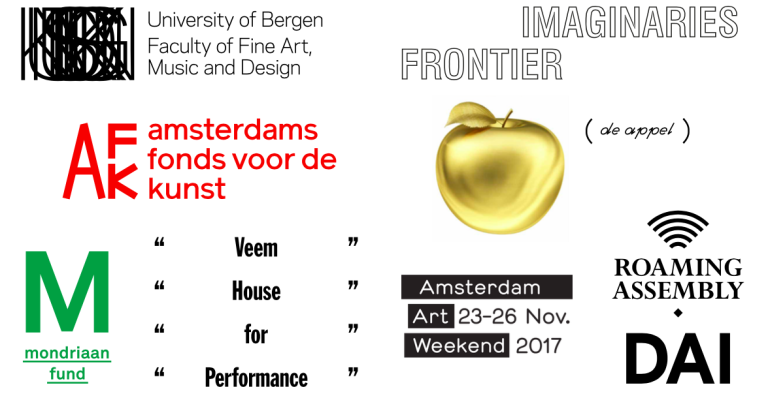 Humans of the Institution is convened by Curatorial Practice, Faculty of Fine Art, Music and Design, University of Bergen (UiB) and Frontier Imaginaries, and presented at the Veem House for Performance in Amsterdam 25–27 November 2017. Dear Humans of the Institution! We are addressing you to take part in an international three-day gathering created to look closely at who ‘makes the present’ by foregrounding the freelancer in the arts and within globalising dynamics more broadly. The symposium is organised by curators, based on experience, and encourages the participation of artists, writers, journalists, designers among other 'content producers' and freelance workers. By focusing on the curator, Humans of the Institution will be a nuanced debate important to freelancers and institutions alike. Humans of the Institution opens with a weekend programme 25 and 26 November that foregrounds freelance experiences in the arts, taking in to account transforming institutional structures, formations of non/employment at global scales, and emerging regimes of networked governance. Building on the weekend's dialogues, Humans of the Institution culminates Monday 27 November with a series of six working groups: Archives & Individuals, Biennials & Guest Work, Boycott & Mobilisation, Censorship & Strategy, Critical Regionalism, and Fees & Conditions. These groups will each produce a Working Groups Statement which will be made available online, co-published with L'Internationale Online, and that will be delivered to Mondriaan Fund for its program development. Humans of the Institution is co-organised by Curatorial Practice (UiB) and Frontier Imaginaries. It takes place as part of, and supported by, the DAI Roaming Assembly and Amsterdam Art Weekend. It is hosted at Veem House for Performance, and in partnership with De Appel. International participation is supported through a Delegate Partners network with L’appartement 22, Artspace NZ, La Biennale de Lyon, Blind Carbon Copy, Chapter Thirteen, Creative Scotland in partnership with Scottish Contemporary Art Network, Frans Hals Museum | De Hallen Haarlem, KORO/Public Art Norway, Musée d'art contemporain du Val-de-Marne, Netwerk Aalst, OCA, and SAHA. The project is also made possible through the support of the Mondriaan Fund, the Amsterdam Fonds voor de Kunst and the University of Bergen. Humans of the Institution runs across Saturday 25 November and Sunday 26 November 2017. There are four sessions in total (before and after lunch each day). You are welcome book single sessions, or the full programme. Tickets can be purchased online through Veem. Concessions for students and senior citizens. The Monday 27 November programme will consist of thematic and practically oriented Working Groups. These will be forums for concrete action, fact-finding, awareness raising and solidarity. The groups will be of 12 to 20 participants each. Interested participants should send their name, contact details and a short statement of motivation for the Working Group of your interest to humansoftheinstitution@uib.no with 'Working Group' in the subject line. We are committed to accessibility for persons with disabilities. Please contact humansoftheinstitution@uib.no by 15 November 2017 with 'accessibility' in the subject line if you have any particular requirements. We do not charge admission for any support person accompanying a person with a disability. Humans of the Institution is an international gathering in Amsterdam, coinciding with the Amsterdam Art Weekend and DAI Roaming Assembly. It will take place as a two-day symposium at Veem House for Performance. Purchase your ticket online, or show up at the door 30 minutes prior to the programme to be put on the waiting list. The Monday programme will consist of thematic and practically oriented Working Groups, forums for concrete action, fact-finding, awareness raising and solidarity. The groups will be of 12 to 20 participants each. This is an OPEN CALL for interested participants. Please send your name, contact details and a short statement of motivation for the Working Group of your interest to humansoftheinstitution@uib.no before 15 October 2017 with ‘Working Group’ in the subject lines. You are encouraged to take part in the Weekend programme. A series of Working Group Statements will be published online by L’Internationale online. Humans of the Institution was broadcast live Saturday 25 November and Sunday 26 November. Natasha Ginwala's contribution to the plenum Saturday 25 2017can be accessed via password that can be obtained by contacting the Faculty of Fine Art, Music and Design at the University of Bergen or email humansoftheinstitution@uib.no. Antonia Majaca: Against Curating as Endorsing can be accessed via password that can be obtained by contacting the Faculty of Fine Art, Music and Design at the University of Bergen or email humansoftheinstitution@uib.no. 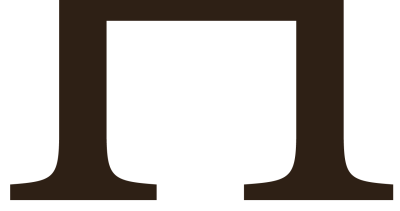 An informal international network consisting of institutions and organisations is being created for the purpose of Humans of the Institution to generate support for the participation of freelance curators. Institutions, patrons and funding bodies wishing to become a Delegate Partner, and individuals wishing to become a Delegate, please e-mail humansoftheinstitution@uib.no with "Delegate" in the subject line.